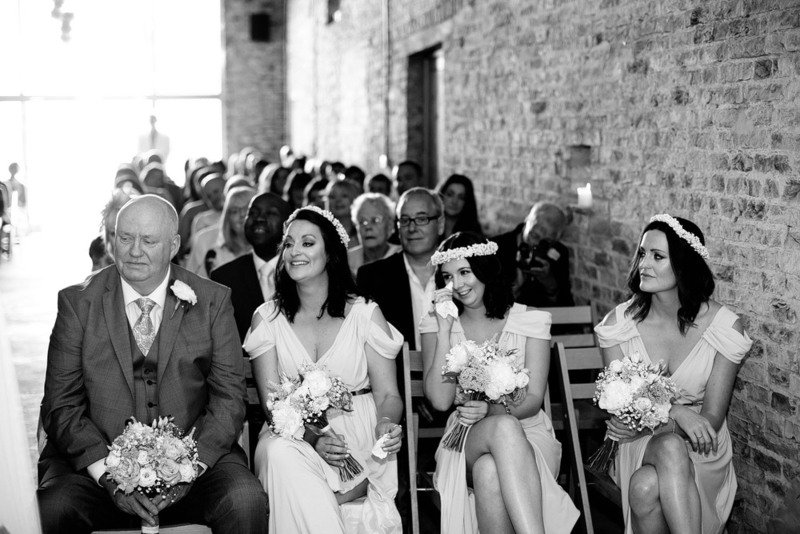 Relaxed summer wedding at Barmbyfield Barns in Yorkshire - Amy and Chris. As a couple, Amy and Chris are laid-back, fun loving and have an overall relaxed outlook on life. They wanted their wedding day to be a reflection of their personalities, a day for their family and friends to get together to celebrate their love for each other, and have a really good party. 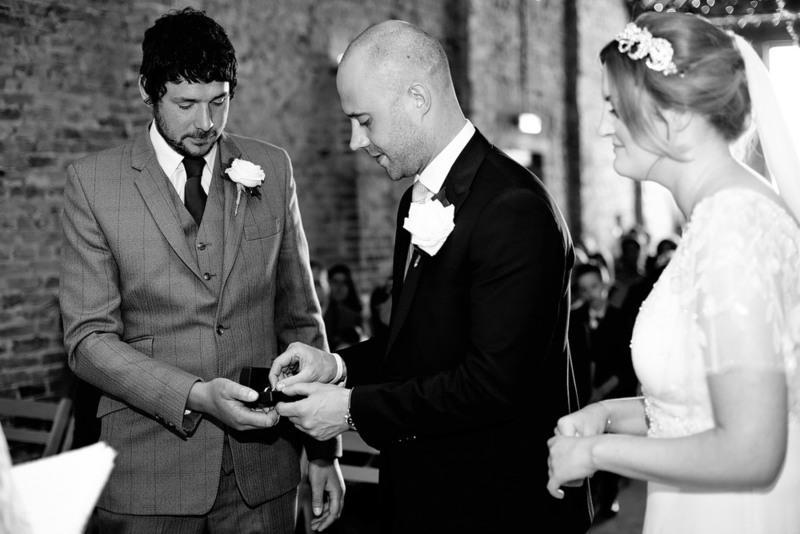 Their venue - Barmbyfield Barns, was a blank canvas which provided an informal setting for the celebration and also allowed Amy and Chris to put their own stamp on details and decorations. A lot of the decor was handcrafted and the main colours were gold and pink. They also hired festoon lighting to soften the interior of the barn. 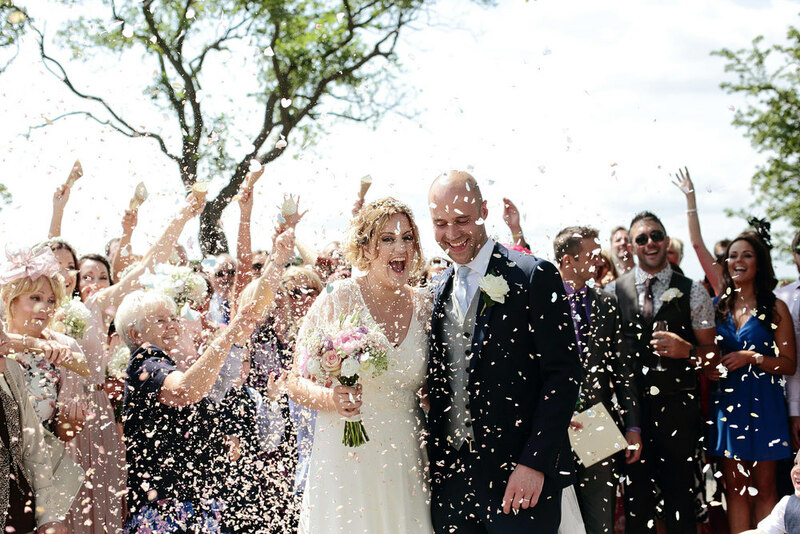 Amy chose a free-flowing Jenny Packham dress which was very suited for the summer wedding. I loved Amy's elegant, yet slightly whimsical look. Groomsmen wore their own mismatched suits and bridesmaids were in blush pink gowns. 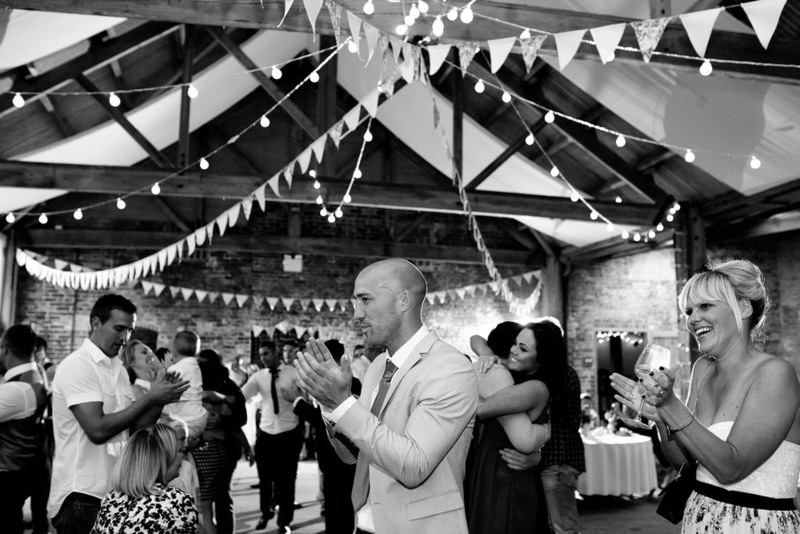 Amy and Chris wanted to make sure their guests had a good time, and they set up outdoor games, had informal straw bale sitting outside, a beer pong table for adults and a ceilidh to get everyone dancing. 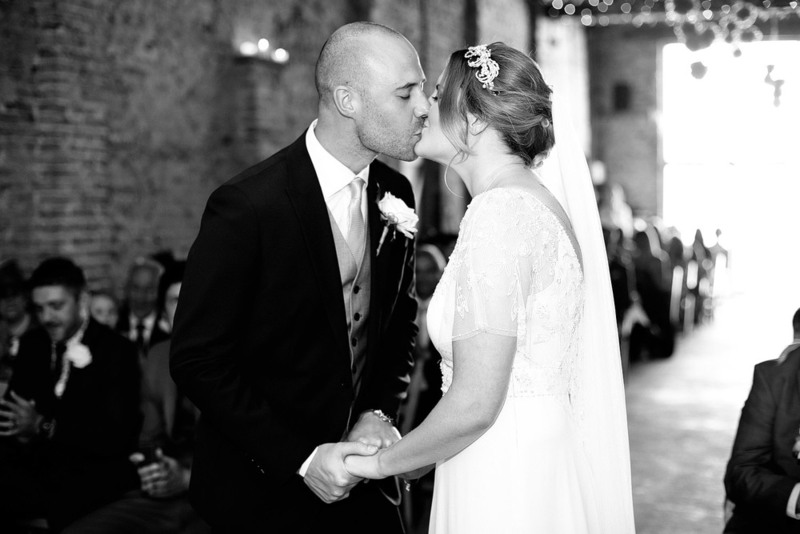 It was such a pleasure capturing the story of Amy and Chris's wedding day including emotional speeches, their wonderful family and friends and a good ceilidh!